But you need not fear the carbs, either. No Italian man can do without pasta, and Mr. Valentino fits it into his diet, now and then, by eating a whole grain form called kamut. Kamut is the trademarked name for khorasan wheat, an heirloom variety, and pasta made from it is both higher in protein than traditional kinds, yet more tender and less earthy-flavored than other pastas made from whole wheat. Mr. Valentino's chef has developed a low-fuss kamut pasta dish that's a favorite of Mr. Valentino's—a classic spaghetti-and-tomato sauce combo that's elevated by its fresh ingredients. Here's the recipe, from The Emperor's Table. Cut a shallow X into the bottom of each tomato and blanch in boiling water for about 10 seconds. Remove to an ice water bath to cool. Saute the onions, carrots and celery and a little olive oil over medium heat until softened. 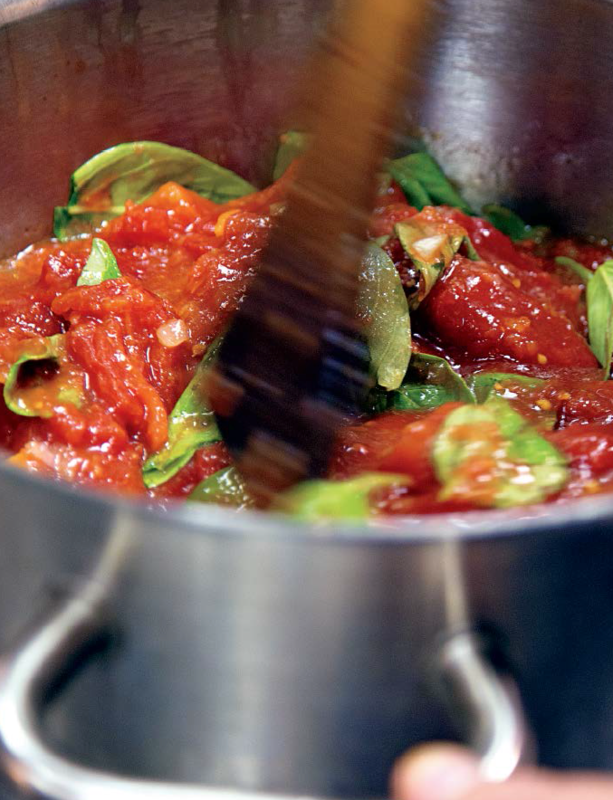 Add the peeled tomatoes, basil and bay leaf, then cook for one hour over low heat. When the sauce is fully cooked, season with salt and pepper then run through a food processer to blend. Cook the kamut pasta al dente, drain, and toss with the tomato sauce. Transfer the pasta to a deep dish, drizzle with olive oil, and serve with grated parmesan.